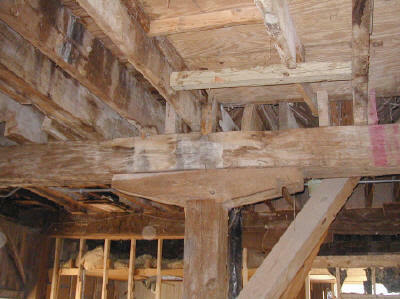 The cross beams are hand hewn and one foot square. 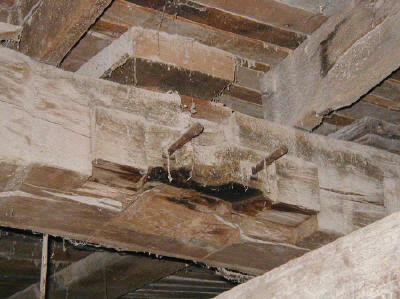 The shaft of the turn style that the horses worked was attached to this beam. 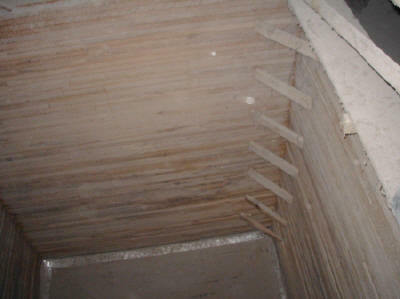 This is the first floor where the gain shuts drain the bins above. The bins are approx. 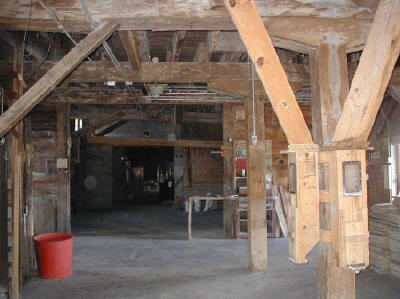 9' X 10' and are made by laying 2X4s flat to a height of 12 feet. 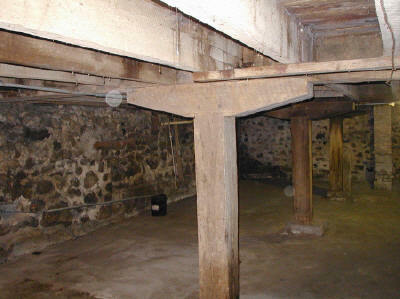 The foundation is over 18 inches thick and is made of stone. 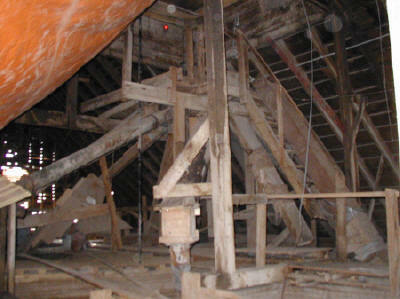 These are the chutes just under the cupola that direct the grain to individual bins.